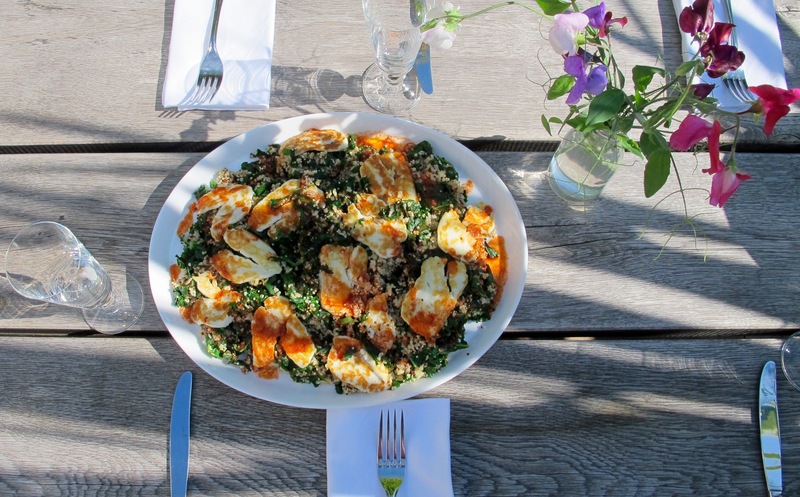 This is the yummiest salad, mainly because it doesn’t taste like you’re eating a salad at all! It’s super healthy and packed full of nutritious, tasty ingredients. With only a few different elements, it’s really quick to throw together and makes the perfect light super, or delicious lunch. 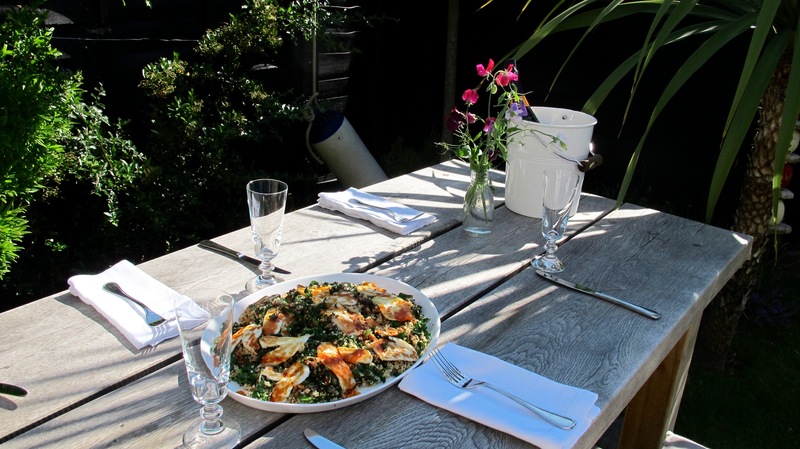 This is a Donna Hay recipe from her ‘Fresh & Light’ book- there are some other great recipes in there too, like the salmon parcels I made a few weeks ago. Start by mixing together the ingredients for the dressing. 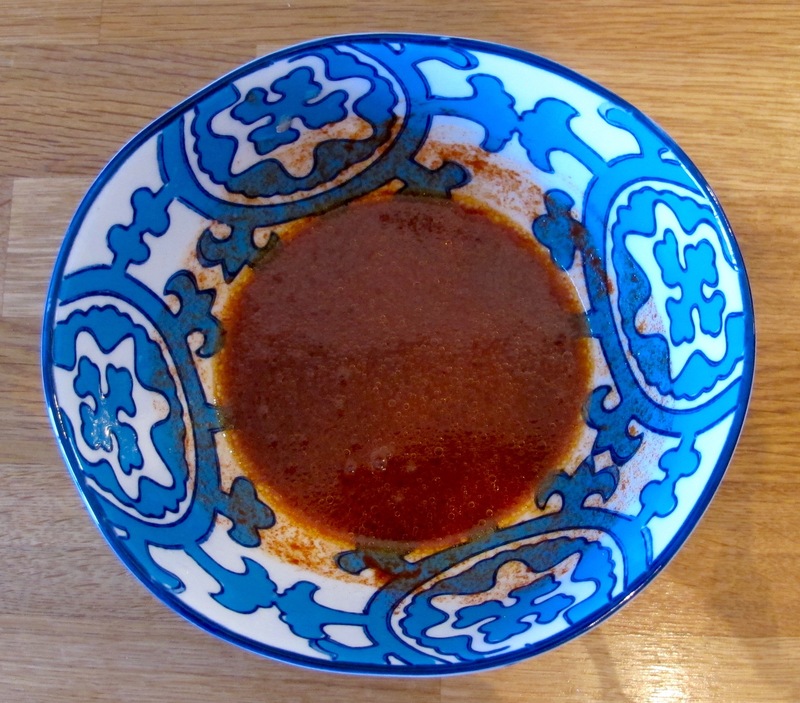 It’s important that you make sure you use a smoked paprika, because this really adds to the flavour. I used La Chinata which you can buy in most supermarkets. Pop your quinoa in a pan with the stock, and bring to the boil. Simmer for about 15 minutes until all of the stock has been absorbed. 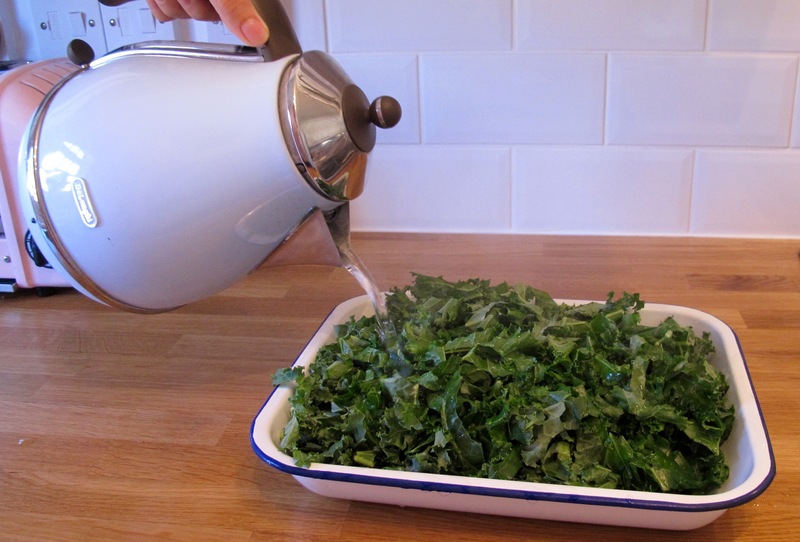 Next lay the kale in a dish and cover with boiling water. Leave to stand for five minutes and then drain, patting dry with kitchen towel to get rid of any excess water. All that’s left to do is grill the halloumi. It should only take a minute or two each side, until it goes a lovely golden brown colour. 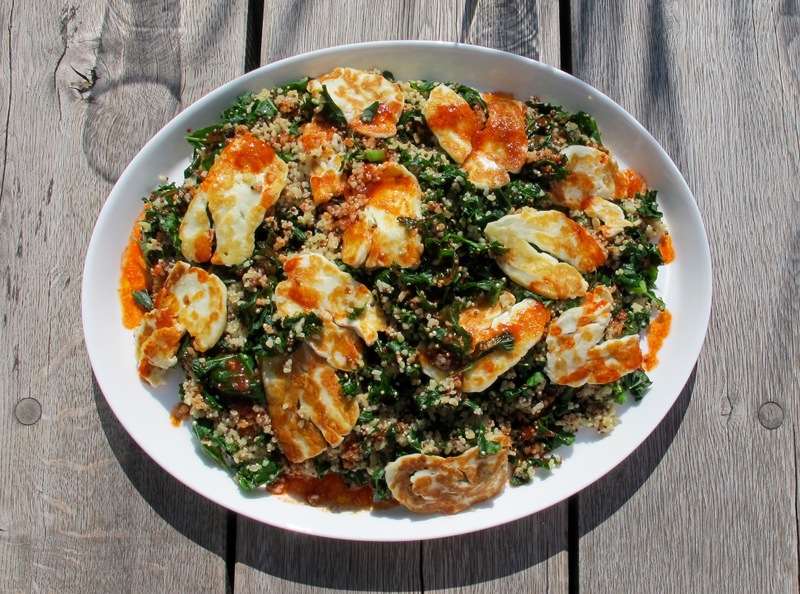 Mix together the kale, quinoa and parsley, lay over the halloumi and drizzle over the paprika dressing. The smoky paprika really brings the whole dish together, and makes it so full of flavour. This really doesn’t need anything else to go with it- it’s delicious enough by itself! Pile up your plate and tuck in to a guilt-free hearty meal.